Iraqi forces reached one of Mosul’s five destroyed bridges on Monday as they pushed deeper into the western half of Iraq’s second largest city, driving ISIS militants back with the help of US-led airstrikes. Maj. Gen Thamir al-Hussaini said the militarized Federal Police advanced in the face of snipers, anti-tank missiles and suicide car bombs, describing “fierce” clashes in which Iraqi forces suffered casualties, without providing exact numbers. Just a few kilometers (miles) from the front, wounded troops streamed into field hospitals, many of them suffering from shrapnel wounds. One soldier had lost the lower part of his leg in an explosion. Frontline medics at one field hospital said they had received more than 20 casualties by midday. The medics spoke on condition of anonymity in line with regulations as Iraq’s military does not release casualty information. US-led airstrikes disabled all of Mosul’s bridges spanning the Tigris River last year in a bid to isolate the militants in the western half of the city. Iraq declared eastern Mosul “fully liberated” last month but the militants have carried out attacks there since then. Lebanon-based Al-Mayadeen TV aired live footage from the western Gawsaq neighborhood, showing Iraqi troops in armored vehicles and Humvees rolling through dusty streets as gunfire rattled. Thick black smoke could be seen billowing up after airstrikes. Iraqi forces took Mosul’s international airport and a sprawling military base next to it last week before pushing into Mamun, the first neighborhood in the western half of the city after the airport. Mosul is Iraq’s second largest city, and its western half is the last significant urban area held by ISIS in the country. 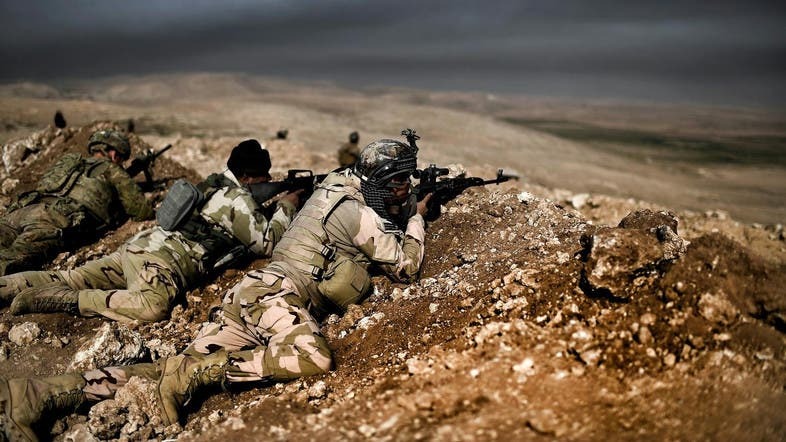 Iraq launched a massive operation in October aimed at retaking Mosul, which fell to ISIS in the summer of 2014, along with large swaths of northern and western Iraq.